Very pleased and honoured Until We Are All Free has been awarded Highly Commended in 6th Australia/New Zealand Illustration Awards 2018. 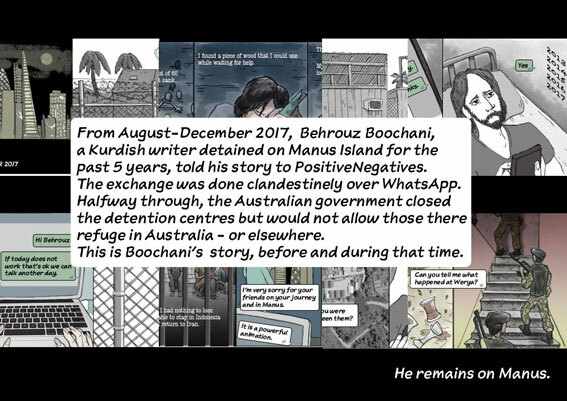 After an exceptional event three days ago, presenting the graphic narrative with Behrouz Boochani linked from Manus Island, the timing is perfect. Thank you to all the judges for the recognition. 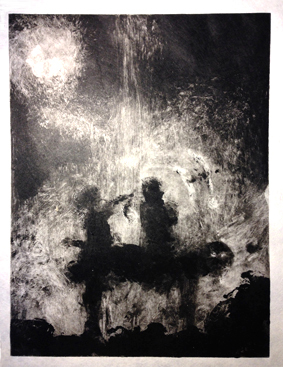 In conversation with Behrouz Boochani – via Skype – and Julianne Schultz (Griffith Review) to discuss No Friend But the Mountains and Until We Are All Free. 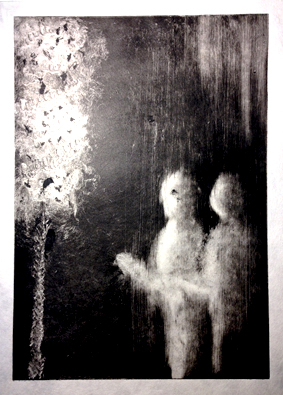 Dark field monoprints in Mullum. 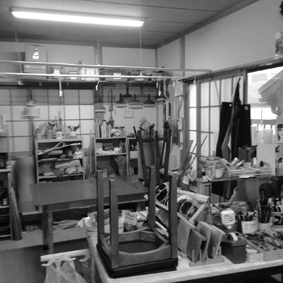 … and playing with knives in Kyoto. 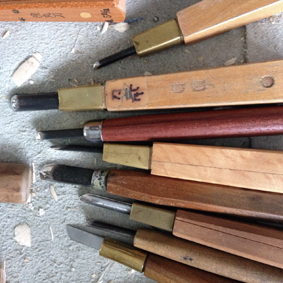 Week carving in Tosai Shimogamo studio – feel of the wood again after many years. 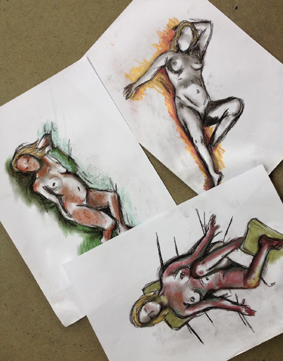 Bit of analog work to balance out hours of screen time… weekly life drawing. 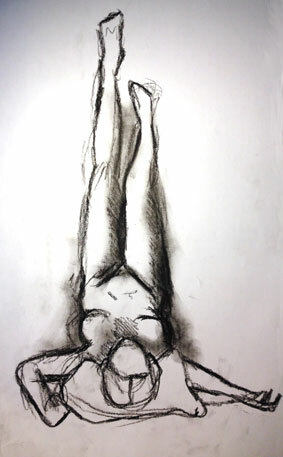 Free quick charcoal line, random colours reaching for whatever pastel comes to hand, .. and no undo option.